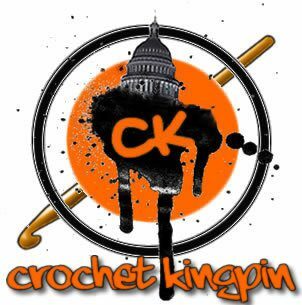 Who is The Crochet Kingpin? Dwayne B! 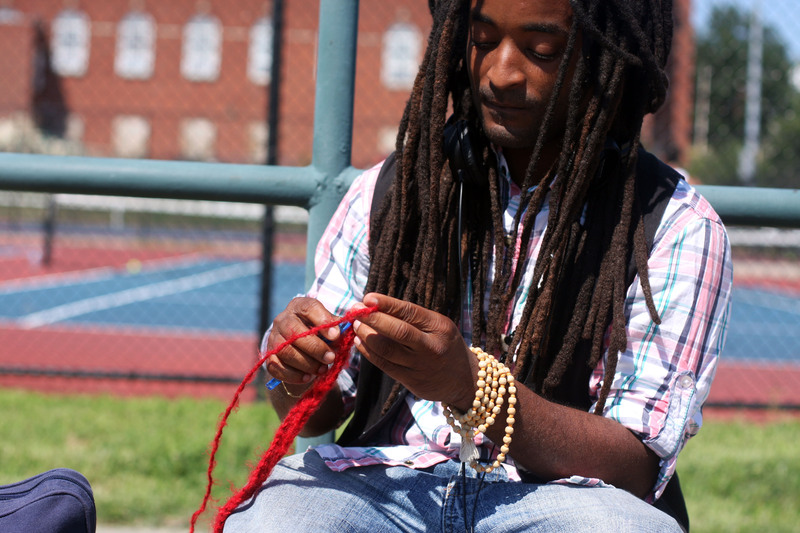 aka the “Crochet Kingpin” is a homegrown DC native poet, activist, break-dancer, and fashion designer. He is one of the hosts of DC’s longest running open mic series, Spit Dat, as well as a member of the Busboys and Poets hosting team for the 5th & K location. In addition to featured readings at every Busboys and Poets location, SAGAfest Iceland 2015, Spirits and Lyrics NYC and Manassas, Woolly Mammoth Theater, and the C2EA “We Can End AIDS” march, Dwayne’s short form poetry prowess led him to win the Best Haiku Award at the 2011 National Underground Spoken-Word Poetry Awards (NUSPA). His work to increase HIV awareness through spoken-word garnered recognition from the Congressional Black Caucus Foundation, BBCAmerica, the Discovery Channel, and The Washington Post. Ultimately, his goal is to force his audience to feel. He tends to meet goals. When not documenting his life through poetic meter, he can be found on the metro making scarves and hats, or singing karaoke. I’m Tokoni, A student and poet. Its nice to meet you. I’d like to invite you to visit my blog if you’re interested.